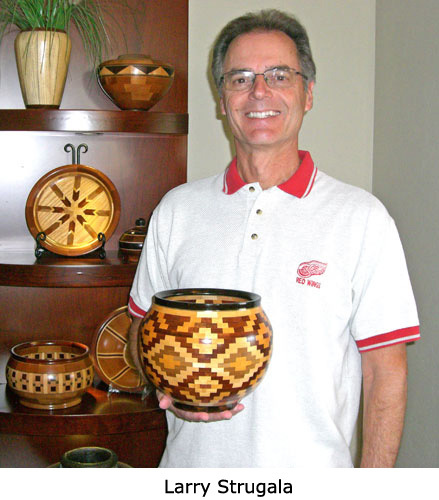 My showcase includes mostly wood turnings, specifically segmented wood turning - a technique of turning wood objects on a lathe, composed of multiple glued pieces of wood to create designs, patterns and colors on the finished piece such as bowls, vases, or plates. My love of woodworking started with learning many carpentry skills from my father as a boy and later doing my own home improvements, gradually acquiring the tools and the space necessary for a small woodworking shop. Tackling different projects using more advanced techniques were self taught through books, magazines, and the internet. I gravitated toward the wood lathe and segmented wood turning pieces. Currently, my pieces are not for sale. Still a practicing dentist, I have suspended creating any new projects temporarily until I am retired.